With the development of China's economy, the inventory management of enterprises has gradually become the key to restrict the development of enterprises. The level of inventory management will directly affect the level of production costs and profitability of enterprises. But at present, the enterprise inventory management still has many problems. By sorting out and analyzing the existing problems in inventory management, this paper puts forward corresponding Suggestions and improvement countermeasures, so as to promote the optimization of inventory management, improve the inventory management level of enterprises and increase the economic benefits of enterprises. 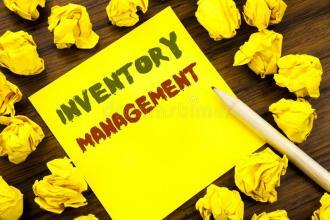 At present, most enterprise managers in our country lack of correct inventory management awareness. Focus only on product sales and market expansion, ignoring inventory management. They tend to overestimate the market demand and underestimate the risk of inventory overstocking. It only pays attention to the physical management of the inventory, but ignores the value management of the inventory, which leads to the derogation of the value of some seasonal and highly fluctuating long-stock stocks. Especially in the current market economy environment, the price of some products fluctuates greatly with the economy, and without the correct inventory management awareness, enterprises will bear greater risk of price fluctuations. The concept of inventory management of the enterprise management is backward, and the traditional view is that inventory management is only the responsibility of the enterprise's warehouse department, and has nothing to do with other departments and other personnel. On the whole, there is a lack of enthusiasm and coordination, and the concept of full participation in inventory management needs to be improved. Although some enterprises have established the inventory supervision and management system, it is not based on the actual operation of the enterprise, but only based on the model system to make some basic provisions. 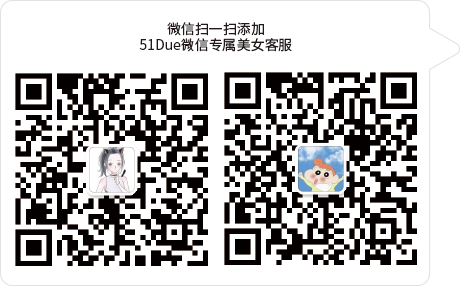 The regulations are not specific, the content is not comprehensive, the process is not sound and other problems, enterprises encounter some practical problems without rules to follow, the guidance of the system is difficult to play an effective role. In the actual implementation, the division of rights and responsibilities is not clear, there are disjointed phenomena in the links of procurement, acceptance, storage, delivery, inventory, etc., and when there are problems, there is serious buck-passing among departments. In order to save labor costs, one person often holds several positions, even in the handling of audit, material procurement, acceptance and warehousing, storage inventory and other incompatible positions also exist phenomenon. As a result, hidden box operation and malpractice for personal gain occurred, which was specifically manifested as purchasing and accepting kickbacks and purchasing unqualified materials with high quality and price, warehouse staff stealing, inventory theft and damage, etc., which caused economic losses to the enterprise. The weak link in inventory management of most enterprises is to make inventory purchase plan. Before inventory purchase, there is no reasonable plan for inventory purchase quantity, mode, time point, etc., no analysis of the enterprise's own production and operation situation, no special market research and analysis by the purchasing department, and the prediction of market demand change trend is not accurate. Information communication with other departments of the enterprise is also rare, which leads to the fact that the inventory purchase is not in line with the actual production and operation of the enterprise. Either the inventory overstock increases the inventory cost, or the insufficient inventory reserve affects the normal production and sales. Enterprise in inventory management, still is one of the traditional inventory management methods, for procurement procedures simply based on historical data and the seasonal characteristics, comprehensive purchase agreement to determine the purchase plan, procurement plan lacks rationality, also as a result, enterprises will face the shortage of inventory at any time or risk issues such as excess inventories, inventory is insufficient, affect the operation of enterprise production, increased the enterprise the management risk, buying excess inventory will make enterprise liquidity is occupied by a large, enterprise capital risks. At present, the transmission of inventory management information of some enterprises in China is quite different from the average level of the same industry, which needs to be improved. Some enterprises mainly rely on the traditional manual collection and inventory information, computer and modern network information technology is rather backward. Due to the wide variety of inventories, relying on manual accounting without the help of modern computer information system will lead to time-consuming and laborious inventory management, low efficiency and poor accuracy, which will seriously affect the reliability and information quality of inventory data provided by enterprises and affect the analysis and decision-making of production and operation of enterprises. In addition, the information transmission under manual management has hysteresis, and it is not able to dynamically understand various inventory status information in real time. The communication with suppliers, dealers and customers is mainly through manual one-way communication. It is difficult for enterprises to timely and comprehensively grasp the market supply and demand situation of required raw materials and the final sales situation of distributed products, so that they cannot make correct production and operation decisions and arrange the procurement and production of enterprises. Although some enterprises have established a small range of information systems, they are still limited to departments or enterprises, and cannot transmit and share information between departments and upstream and downstream enterprises, thus restricting and affecting the improvement of enterprise inventory management level. Consciousness is the internal motivation for the development of objective things, consciousness determines the height and action, and the management level is the leading core of an enterprise, which determines the development direction of the enterprise. Enterprise managers should first clearly understand and position themselves ideologically, position inventory management at an important ideological level, allocate how much manpower, material and financial resources to manage inventory, and guide and support daily inventory management. Corporate management should be clear about the importance of inventory management, the enterprise inventory management into enterprise daily agenda, through training learning inventory management policy, clear the goal and the value of the inventory management, form the ideological value, especially attaches importance to enterprise management, through the role of corporate leaders set an example, form good corporate culture, improve the inventory management consciousness, guide the staff to participate in the management. Only by paying attention to the thought and supporting the action, can the inventory management work be carried out smoothly, because the final thing is to rely on people to do, and ideology is the key to leading the action. From the ideological level of attention to inventory management, inventory management for enterprises to provide a good basic environment. Standard and sound inventory management system can promote the orderly development of enterprises. To strengthen the inventory management of an enterprise, it is necessary to start from perfecting various inventory rules and regulations and establish and improve the daily supervision and management system of inventory. Inventory daily management process is procedural, such as inventory procurement, transportation, acceptance and warehousing, receiving and using, measurement and outbound sales can be regulated by establishing a series of specific rules and regulations. If an enterprise can achieve good management and development, improve the internal management system is very important, such as a post changes occurred in the work, a good system of enterprise that does not affect the normal work orderly, because the system is constant, then replaced personnel can still good work flow to operate according to the original design. The same is true of inventory management operations. A good system should produce a good management effect, strict supervision and implementation is the key, the division of department authority and responsibility, clear financial relations, so that each link to achieve an orderly connection, avoid the occurrence of buck-passing each other, the implementation of the principle of incompatible position separation, improve the supervision and management mechanism, timely feedback on the implementation of the situation. The inventory target of the enterprise is to ensure the reasonable reserve inventory and reduce the storage cost of inventory. At the same time, we should ensure the normal and orderly production, reduce the risk of inventory shortage and improve the economic benefits of enterprises. It is particularly important to strengthen the rationality of procurement planning. In order to make a feasible procurement plan, an enterprise shall first analyze its own production and operation, understand its production consumption and determine the amount of inventory insurance reserves. Second, must carry on the adequate market research, in the procurement plan, deal with enterprise market environment facing the extensive investigation and study, understand the current situation of economic development, industry development, and purchase inventory related policies and regulations, market supply and demand situation, procurement strategy of competitors, suppliers, financial situation and so on. Ensure the procurement plan is carried out smoothly. Finally, it is necessary to strengthen the communication and contact with other departments of the enterprise. It is necessary to make a reasonable analysis of the production plan of the enterprise and the requisition form of the using department. It is necessary to combine the budget procurement cost, sales plan and the current inventory status to ensure the reasonable order quantity, and at the same time to reduce the inventory related costs and increase the benefits of the enterprise. At the same time, enterprises can adopt economic batch method and other scientific methods to minimize the total cost of inventory procurement and storage. Strengthen the scientific management of the enterprise inventory, from the actual business situation of the enterprise, comprehensive consideration of various factors, so as to formulate a scientific and reasonable procurement plan. Through the use of modern information management system, companies can more effectively use all kinds of information resources, the enterprise through the use of ERP information sharing platform, can not only for the first time the customer demand for products, will also be able to timely obtain the recent production plan, material and product storage information, make the enterprise inventory management more directional and guidance. A good ERP information management system is not only helpful to improve the timeliness and accuracy of enterprise inventory cost accounting, but also helpful to strengthen communication and cooperation among various departments to realize timely transmission and dynamic update of inventory information of various departments, so as to improve the efficiency of enterprise inventory management. Therefore, enterprises should make full use of modern information integration management software, such as the use of supplier management system to optimize the inventory management of enterprises. Existing ERP inventory management system module to maximize the development and utilization, the enterprise all the job information integrated into a unified information management platform, realize the material flow, document flow and information flow orderly integration, ensure that the data provide timely, accurate and efficient, reduce costs, reduce artificial accounting errors and subjective manipulation, improve the efficiency of inventory management, saving the cost of management. To improve the level of inventory management, enterprises need to start from their own actual situation, effectively improve the management awareness of inventory management, adopt scientific inventory management systems and methods, and make full use of the information system to solve the problems in inventory management. Reasonable inventory reserve, improve the efficiency of inventory turnover, reduce the occupation of enterprise capital, reduce the cost of inventory, improve the economic efficiency of enterprises, improve the market competitiveness of enterprises, and promote the better development of enterprises.